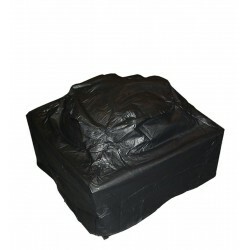 Our Outdoor Patio Fireplace Vinyl Cover is constructed of heavy 10 gauge, felt lined vinyl. Protect your fire pit investment against the elements. 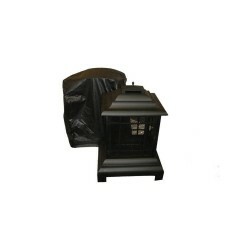 Our Outdoor Patio Heater Head Vinyl Cover is constructed of heavy 10 gauge, felt lined vinyl. 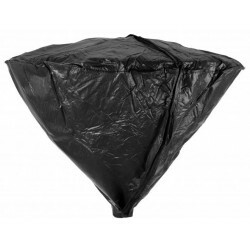 Our Large Outdoor Round Fire Pit Vinyl Cover is constructed of heavy 10 gauge, felt lined vinyl. 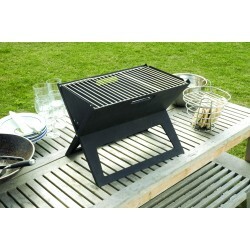 We are pleased to offer the finest in British design and quality in the Notebook Charcoal Grill. 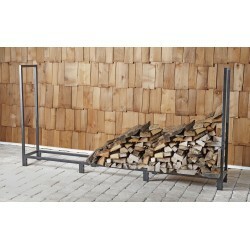 Our 4ft Firewood Rack Cover is constructed of heavy duty vinyl. 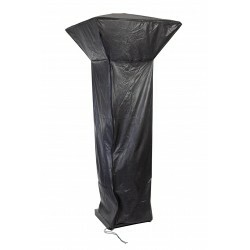 This attractive cover easily slips on and off and includes a front zipper for easy access to your firewood as well as tie downs to ensure your cover remains secure. Protect your firewood against the elements. 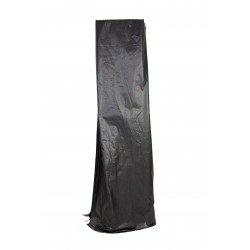 Our 8ft Firewood Rack Cover is constructed of heavy duty vinyl. 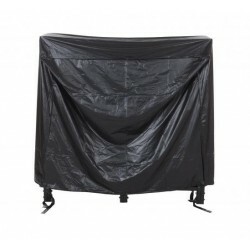 This attractive cover easily slips on and off and includes a front zipper for easy access to your firewood as well as tie downs to ensure your cover remains secure. Protect your firewood against the elements. 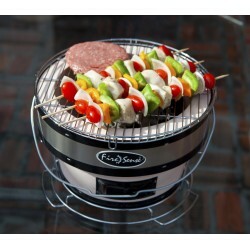 Add this adjustable table to your outdoor patio heater in order to add even more functionality and style to your unit. 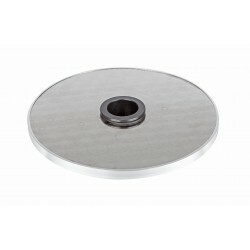 This table has a base diameter of 16", ensuring a sturdy place for drinks. The durable construction will ensure the table last for many years to come. 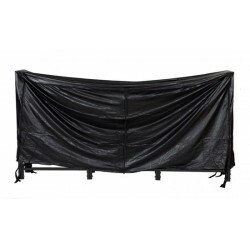 Our Full Length Outdoor Square Patio Heater Vinyl Cover is constructed of heavy 10 gauge, felt lined vinyl. 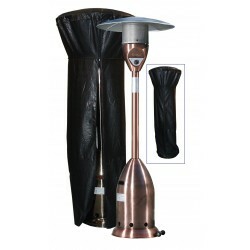 Our Flame Patio Heater Vinyl Cover is constructed of heavy 10 gauge, felt lined vinyl. 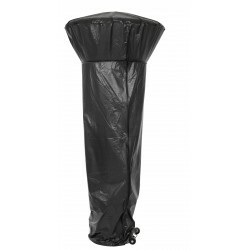 Our Full Length Outdoor Pro Series Patio Heater Vinyl Cover is constructed of heavy 10 gauge, felt lined vinyl. Handmade using clay, the Yakatori Grill radiates heat, producing a juicier and more tender meal. For outdoor use only. Our Full Length Outdoor Patio Heater Vinyl Cover is constructed of heavy 10 gauge, felt lined vinyl. 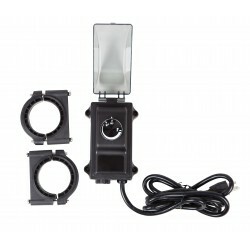 The Fire Sense Infrared Patio Heater Dimmer Switch is a variable manual controller for adjusting the heat output from your infrared patio heater to your ideal temperature. This unit is easy to install and operate—no electrician needed. 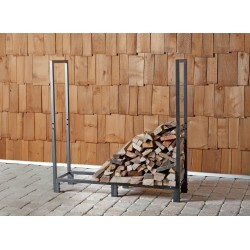 Our 4ft Firewood Rack holds and stores up to ¼ a cord of firewood and ensures that your firewood will stay neat, clean, and dry. Keep your firewood elevated to avoid insects, molding, and rotting. The heavy duty steel construction and powder coated finish provide stability and durability. 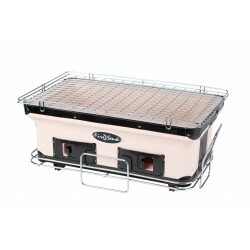 Discover what the Japanese have recognized for centuries as the best grill construction clay. 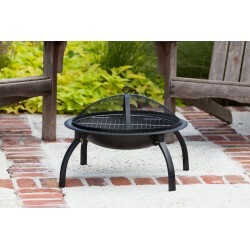 Our folding fire pit features 22" heat resistant painted steel fire bowl and folding legs for easy portability. Our 8ft Firewood Rack holds and stores up to ½ a cord of firewood and ensures that your firewood will stay neat, clean, and dry. Keep your firewood elevated to avoid insects, molding, and rotting. The heavy duty steel construction and powder coated finish provide stability and durability. 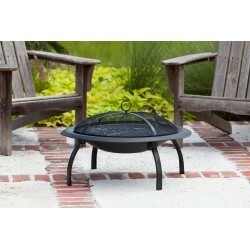 Our folding fire pit features a 29" heat resistant painted steel fire bowl and folding legs for easy portability. 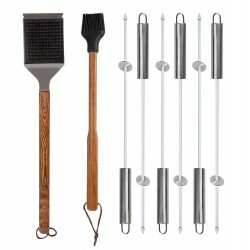 Built for the master griller, the Elite Stainless Steel BBQ Tool Set with a 13 piece BBQ tool set and apron carrying case from Fire Sense, is the essential set for any griller. This attractive fire pit features a 30" high temp antique bronze painted steel fire bowl with an elegantly rounded lip and curved legs. 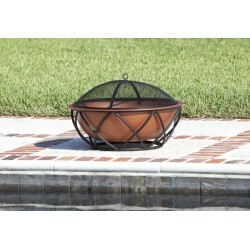 This fire pit comes complete with mesh fire screen with high heat paint and a wood grate. Also included is a screen lift tool. 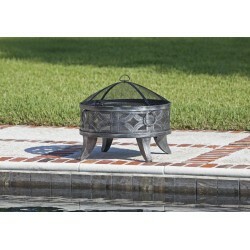 This unique fire pit features a robust 26" diameter steel and mesh fire bowl with an attractive antique pewter finish and elegant patterned design. 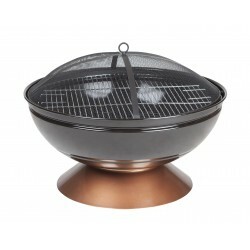 This attractive fire pit features a robust copper-look steel fire bowl which sits inside a stylish supportive base. The voluminous fire bowl can hold more wood allowing for a longer fireside experience. 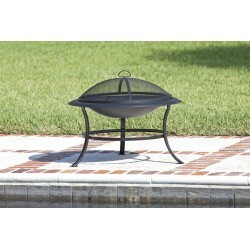 This fire pit comes complete with a one-piece mesh spark screen with high-temperature paint. Also included is a screen lift tool and cooking grate. This unique 26" fire pit features an attractive enamel-painted fire bowl and base with a beautiful copper and black gradual finish. 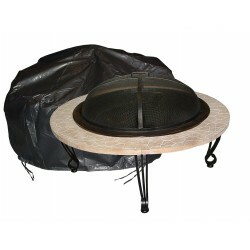 This fire pit comes complete with a dome mesh spark screen with high heat paint and a screen lift tool. Also included is a wood grate and a cooking grate.